The Polar Jungle is bringing community to the airwaves – parks – beaches – and venues of San Francisco. 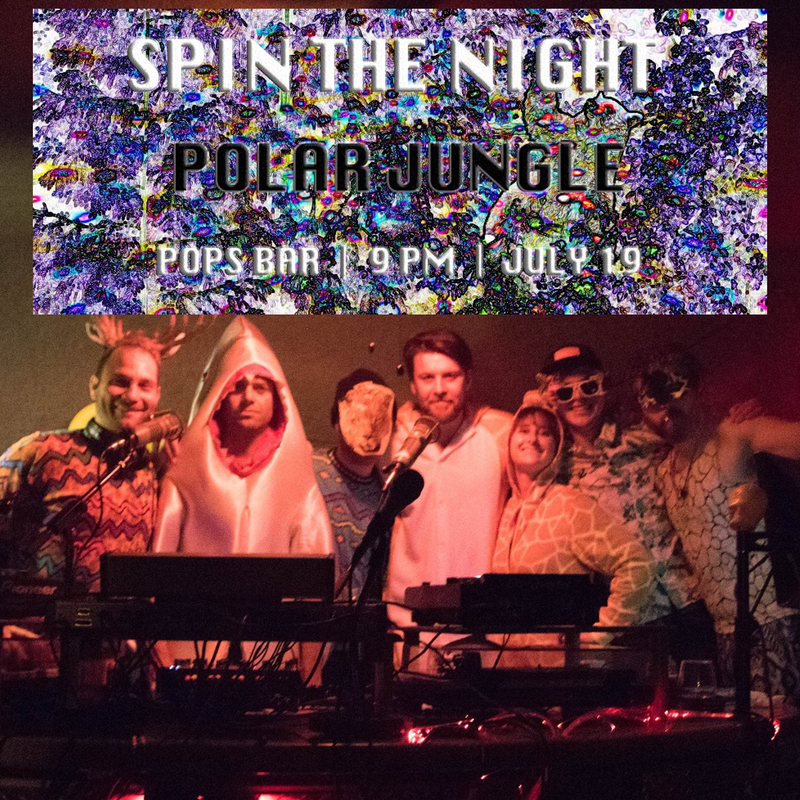 This Wednesday at Pops Bar, Polar Jungle takes over the decks at Spin The Night from 9pm-2am. Spin The Night is a fun boozy filled evening showcasing the local heroes working hard to keep the music scene alive and well. Join us in the creative exploration of music, art, and unique experiences in San Francisco! Come shake off the Monday Blues with your one of your favorite happy hour bartender Nick. Join us every Tuesday of the month and test your wits at Pops trivia night “POP’s Quiz” where your brain may get stump on categories such as Pop’s culture, Sports, Movies, Music and more, with little snippets of audio and visual effects too! So come on in for some good ole fashion competition and a night of drinking with the crew! It is a 2 dollar cover and winner gets the pot!! so tell friends and family because the more peeps the steeper the cash prize is!! Happy Hour 6-9pm with Bryan and Ryan. The Polar Jungle is bringing community to the airwaves – parks – beaches – and venues of San Francisco. We are driven by the creative exploration of music, art, and unique experiences with an undertone of social activism. Spin the night is a fun boozy filled evening showcasing the local heroes working hard to keep the music scene alive and well in San Francisco. No particular genre, just music that inspires us to party on. Soul for the Blues, and Blues for the Soul. A night of powerful Soul Sides and Boozey Blues 45′s! If you are looking for a good time, Todd’s rock and roll band, “The Haight Street All-Stars” will exceed your highest expectations. Featured at the Haight Street Fair this year, the blues/rock sensation, “The Haight Street All-Stars” will keep you dancing throughout the night. Playing songs to the likes of James Brown, B.B. King, Aretha Franklin, Albert King and many more. “The Haight Street All-Stars” are fun from beginning to end. Come on out to enjoy some soul in San Francisco ! with DJs Milton Badley and Snelly Davis Jr. Soothing classics to accompany your Bacon Bloody Mary. Who could resist this dynamic duo, with their sonorous adventures into the deserts of early 20th century songwriting? If you’ve got a hankerin’ for some rootsy boot-stompin’ tunes about whiskey and cheatin’ women, then this is your place. Patch & Rita throw down some tunes like this coast has never seen, and you’ll leave stomping your feet, we promise. The perfect blend of Electro-Cumbia, Breaks, Hip Hop, and Nu Latin Beats ready to be scooped up. Every 2nd, 3rd and 4th Sunday of the month with DJ Clave spreading the beats from 5-10pm. Free Salsa, Cumbia & Merengue Dance Lessons from 5-6pm with Colombian dance expert, Natalia.